There’s a lot of good shows that are floating around in today’s TV world, and with the dozen or so available streaming services, it’s easy for us to catch up on the shows that we miss. But what about those old TV shows that paved the way for today’s shows? 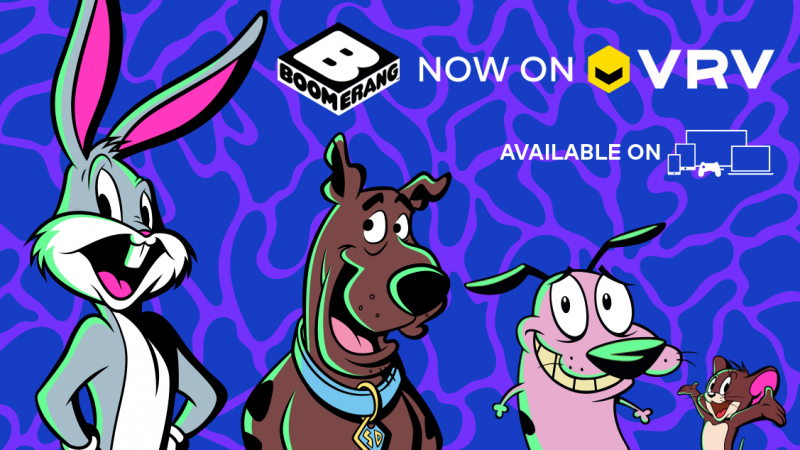 VRV has launched another channel to its ever-growing list of content called Boomerang. With its partnership with VRV, Boomerang brings a gigantic library of timeless cartoons to the streaming service, which let’s those with a feeling for nostalgia, watch the cartoons that inspired today’s animated series. Now available on VRV, some of the cartoons that you’ll be able to watch on the Boomerang channel include: Be Cool Scooby Doo, Tom & Jerry, The Flinstones, The Jetson, Courage the Cowardly Dog, Bunnicula, Garfield, Popeye, Jonny Quest, and Road Runner. Along with the mentioned cartoons, Boomerang will have a library that will carry over 3200 different titles of ageless cartoons. Coming with the launch of Boomerang, VRV has also launched a new fun social activation that can help those who are looking to binge some TV shows. 3200 titles on Boomerang is a lot, and for those who want to find a show that they can sit down and watch for a few hours, having that many titles available can take a while to sift through. Luckily, if you send a message to VRV on Facebook using your favorite emoji, VRV will send you out a personalized recommendation of a series that you can watch on Boomerang. You can try it out yourself by visiting WatchVRV. Boomerang is now available on VRV.